Posted April 7, 2016 by sanisha & filed under Top travel destinations, Uncategorized. Why travel to India, you may ask? Why not?, will be my response….India has so much to offer the most discerning traveler or the budget traveler. Firstly, our rand currently is around 4 rupees to 1 rand – a definite plus. Secondly,we have numerous airlines flying out of South Africa to various cities in India. Emirates airlines, Etihad airways, Qatar airlines all have daily flights to India. Some of the cities that these airlines fly to are Mumbai, Delhi, Cochin, Kolkata, Bangalore & Chennai, just to name a few. India has also introduced e-visas for all South African passport holders travelling for tourist, business or medical reasons. Yes, getting an India visa now is so easy and visas are issued in only 3 days. Great news for us! Incredible India……a majestic country filled with culture, vibrant festivals, delicious cuisine & friendly people. From the Himalayan snow capped mountains to the Indian ocean coastlines, India offers the discerning traveller unsurpassed luxury hotels like the Taj, Leela or Oberoi groups. From amazing beach resorts in Goa & Kovalam to the luxury houseboats in Kerala & Kashmir. 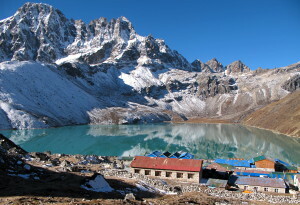 India has increased in tourist visitors for adventure, incentive travel, wellness tours and wildlife. 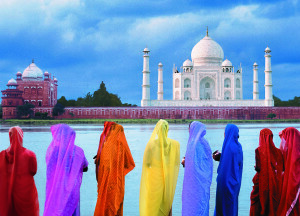 India is a melting pot of vibrant life, culture, cuisine & festivals and just a feel good holiday. The Golden Triangle (Delhi, Agra, Jaipur) is one of the best sold tours worldwide. The Taj Mahal in Agra is one of the world 7 wonders and definitely everyone should see at least once in their lifetime. But wait!, do not forget about the picturesque Kerala for it’s splendid sunrises & sunsets, Goa for the pristine beaches & Seafood, Bengal for the iconic work of Mother Teresa in Kolkata & amazing wildlife as well as tea plantations in Darjeeling. Bangalore being India’s top IT city & Mumbai for it’s vibrant shopping streets & malls. We have packages starting at R16 100 per person sharing for a 10 day tour of the Golden Triangle with flights. Please speak to one of our friendly travel specialist now to book your desired India holiday. 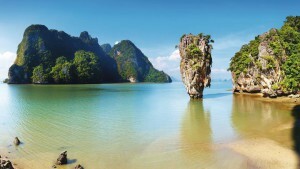 Thailand makes it to number 2 in our top 10 destinations of making your rand go further for so many wonderful reasons. The Thai baht is currently 2.32 to 1 rand. Here again, many airlines fly from South African cities to Thailand daily ie. Emirates airlines, Etihad, Qatar, Singapore airlines & Cathay Pacific to name a few. SA passport holders do not require any visas for Thailand….bonus! Who could resist Thai food?…..yum! Thai culture, shopping, Buddha temples & beautiful beaches. Bangkok is a busy & beautiful city offering it’s travelers a taste of true Thai hospitality. Whether you are interested in shopping, food, history, sightseeing, nightlife, fabulous views, a ride on a tuk tuk or amazing people…..Bangkok should definitely make your bucket list. If you prefer to be away from the city’s bright lights, then head to Phi Phi island, Pattaya, Chiang Mai or Phuket where you can relax in Thailand’s natural beauty. The islands of Pattaya, Phi Phi & Phuket boast pristine beaches with shopping and nightlife too. So if your idea of a perfect holiday is lazing on the beach in the day and partying up a storm in the evenings….then head to Phuket! Our packages to Bangkok & Phuket start at R18 550 per person sharing for a 8 day trip. Don’t delay, book now! We are so excited about this making our top 10…..Vietnam is fast becoming the “hot” destination for 2016! Who could disagree? Our 1 rand will get us approx. 1467.28 vietnamese dong…..hey, that sounds like a lot of money 🙂 🙂 We are not complaining, book that holiday package now! Vietnam is filled with rich history and amazing treks, Buddist pagodas & sightseeing. From the bustling streets of Ho Chi Min City to the Hanoi and Da Nang. 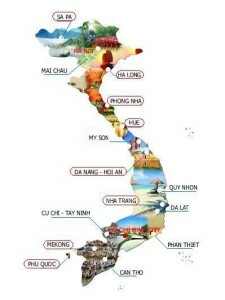 South Africa has daily flights to Vietnam on numerous airlines. SA passport holders require a visa for Vietnam but the process is online, efficient & easy. Our Vietnam packages start from R22 900 per person sharing for a 10 day tour. The Sri Lankan rupee is 9.49 to 1 Rand and Sri Lanka is one of the best kept travel secrets. Sri Lanka is a small island of the coast of India and offers it’s travelers a rich heritage, scenic views of it’s rainforests, adventure, wildlife, spa retreats & pristine beaches. 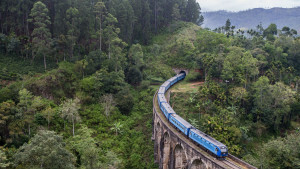 Colombo, Kandy, Sigriya & Nuwara Eliya are just a few towns that are a must see when visiting. Colombo is the bustling capital while Kandy has the world famous temple of tooth & Nuwara Eliya beautiful mountains, wildlife & boutique retreats. If you are looking for the perfect beach getaway, then head to Bentota which has some of the island’s best resorts and spa hotels. Go on spoil yourself! Packages to Sri Lanka start at R18 650 per person sharing for 10 days including flights. Oh yes! It’s Japan…..1 rand is approx. 7.26 japanese yen. Yes, when we think of Japan our 1st thought is Sushi…..right? Well, yes but Japan is so much more then it’s famous worldwide sushi phenomenon. 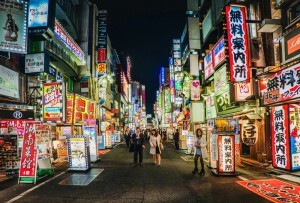 Tokyo, Osaka, Kyoto Nagoya & Fukuoka are famous cities in Japan and bring to the country a vast array of entertainment, sightseeing tours, history, culture & amazing food! The futuristic skyscrapers & shinto shrines make Japan a must see city. It’s vibrant nightlife, branded shopping & a city that never sleeps, make it one of most voted travel destinations for 2016. Bright lights, illuminated signs & thousands of people, make Tokyo one of the world’s vibrant cities. Travelers can revel in the latest technology trends, shopping & entertainment in Tokyo, surpassing some of the US and Europe’s top cities. Highlights of Mexico include : Mexico city of ancient temple ruins, Cancun for amazing beaches & the party life & Acapulco for serene beaches. If you are looking for an all night party atmosphere with shows & clubs offering unlimited alcohol for a set entrance fee, then you must head to Cancun. This beach destination boasts some of the best beach resorts and most of them are all inclusive! Fantastic, that means that you pay one price for all your meals, snacks drinks & tips…no hidden costs. Mexico city is home to the 13th century Aztec temple making it a must see on your trip to Mexico. 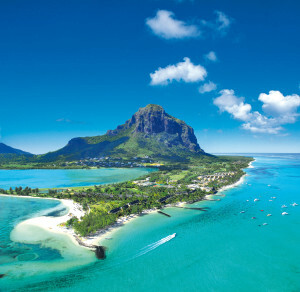 The beautiful island of Mauritius makes it at number 7. One rand will buy will approx. 2.31 mauritian rupee. Now, I know you are thinking that Mauritius is not as affordable as it used to be….but our rand is still worth more than the rupee and if you plan & book in advance we offer fantastic specials. Mauritius is always a favourite with us South Africans…..a short direct flight from most SA cities. Just 4 hours! No visas or vaccines are required. Pristine beaches, some sightseeing, beautiful resorts & all inclusive packages, kids clubs, honeymoon escapes with adult only hotels and the list goes on. Located just of the coast of Africa, Mauritius stands as a firm favorite. Book your December holidays now in order to get the best deals. Our 7 night package at a 4 star resort starts at R23 400 per person sharing, all inclusive for Dec 2016. Hurry to book these and more Mauritius specials. Iceland a Nordic island nation is known for its dramatic volcanic landscape of geysers, hot springs, waterfalls, glaciers and black-sand beaches. Our 1 Rand buys approx. 8.15 krona. 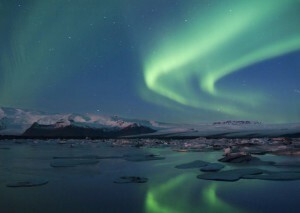 Iceland is filled with wonderful nature, delicious food and inspiring art & culture. The east coast of Iceland is home to the country’s largest forest, lush farmlands and a range of small fjords and islands. Thanks to the East’s many natural harbors, a variety of fishing villages, and small seaside communities border the coast. West Iceland is one of Iceland’s most geologically diverse regions. Its natural wonders are a nearly exhaustive sampling of all that Iceland has to offer, ranging from slumbering volcanos and majestic waterfalls to a variety of flora and wildlife. The north of Iceland truly is a land of contrasts. Its long valleys and peninsulas are interspersed with mountains, lava fields and smooth hills carved out by rivers. The deep and numerous indentations in the coast of the North are at times lush with vegetation, at others barren. As one nears the Arctic Circle in the northern latitudes, the midnight sun is invariably awe-inspiring. Mount Everest is the star attraction. Tourists come in their droves to climb, hike and admire the world’s tallest peak, which flirts with the stratosphere at 8,848m (29,029ft). But this charming country is much more than just mountains.The birthplace of Gautama Buddha, Nepal is an important pilgrimage site for millions of Buddhists, who come from far and wide to visit the UNESCO World Heritage Site of Lumbini, a temple complex where Buddha once lived. We end with the Czech Republic where 1 rand will buy you approx. 18.11 korina. Prague has been an intriguing destination. It is a city of a hundred spires, a UNESCO monument and one of the ost beautiful cities in the world. Bohemia is a region where splendid castles & chateaux awaits you, the valleys of several rivers, mining museums & enchanting countryside. So there you have it! Our top 10 destinations to make your rands go further. Hurry and book your July and December school holiday packages today in order to get the best rates, superb service & first hand advice! Call one of our travel experts on 031 – 566 4961 to assist in planning your dream holiday.